Sansuikaku is a historic and traditional Japanese inn located in Iwate, Tohoku and established in 1800. 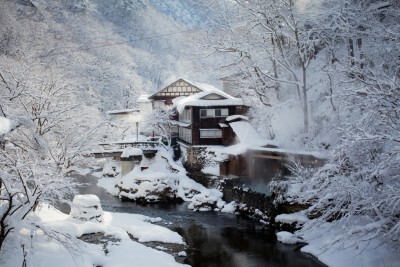 An inn where you can enjoy an exhilarating large open-air hot spring bath, mixed bath, in the mountains. Ryokan deep in the mountains in spring.